It’s a song that brings you in a certain mood. It was made in the time that video clips were not common at all. Michael Nesmith made a clip, experimenting a new medium and wrote a song to it. You can feel the breeze, you can hear the ocean, it gives you a longing to go there. That’s what it’s all about. It’s called Rio. The song is from 1977 and I must have danced on it with my friends at late night parties. The melody stayed inside my head forever. “And I probably won’t fly down to Rio, but then again, I just might.” It took me another 33 years before I got there. Finally I did. I was invited to speak in Sao Paulo by Ana Carla Fonseca Cainha in 2010. After that we went to Porto Alegre. I decided to go to Rio by myself. Only for two nights, wanted to be in a hotel in Copacabana. Wanted to see that beach, the boulevard, Christ on the mountain top. I was hooked. Immediately hooked, as hooked as a city can hook you. Went again a year later, on my way to Nova Friburgo. 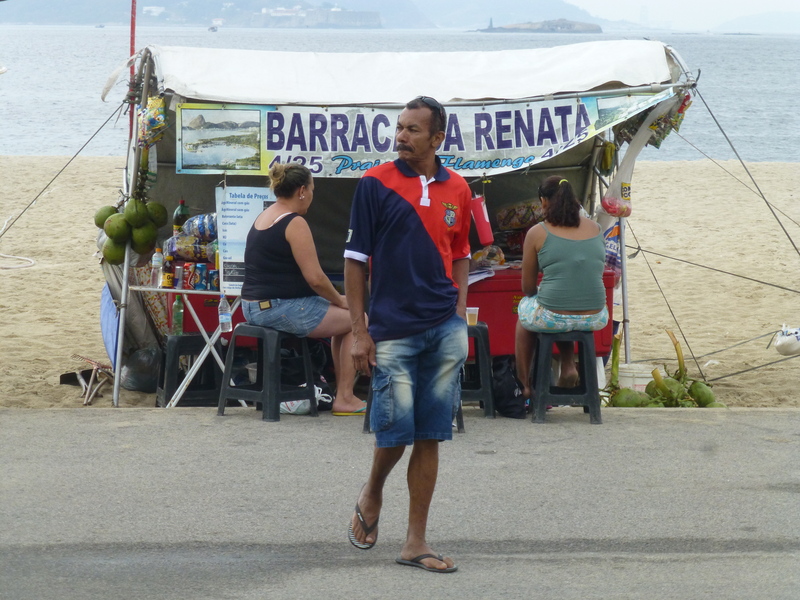 Saw the beach again in Flamengo, Copacabana and Leblon, visited the Favela de Alleman with Nanko. I had a chance to be there again in April this year. And was there again last week. It was only the last time that I started to see the city, feel this city and started to understand it just a little bit more. You generally don’t get to know a city when you stay in the obvious places. That only starts to happen when you move on your own, when coincidence happens, when you hit upon the unexpected. 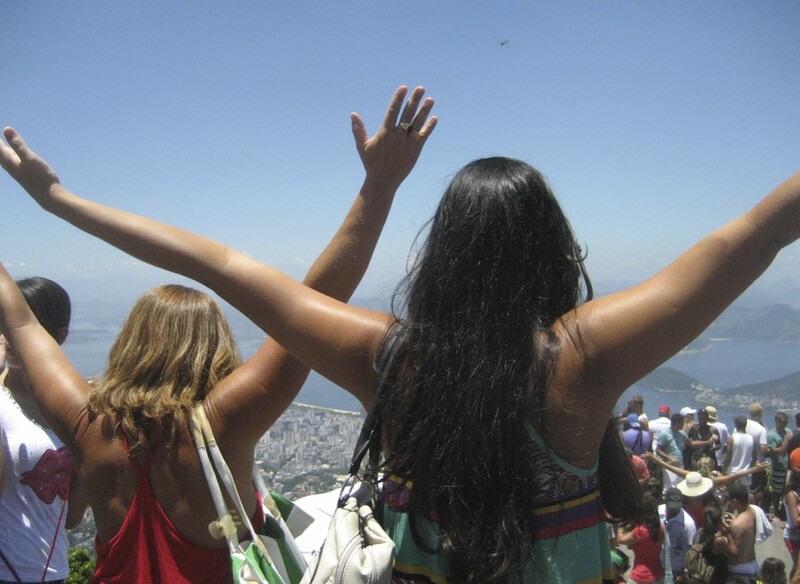 The first and most amazing thing in Rio de Janeiro is the natural beauty. A beauty that is almost everywhere. It’s in the people, it’s in the ocean and the lagoon, on all the sidewalks in the patterns of the stones, in the mountains, in the colonial as well as in the modern architecture. Yes the favelas can be frightening and dangerous. But some of them are on the most beautiful locations you can find. 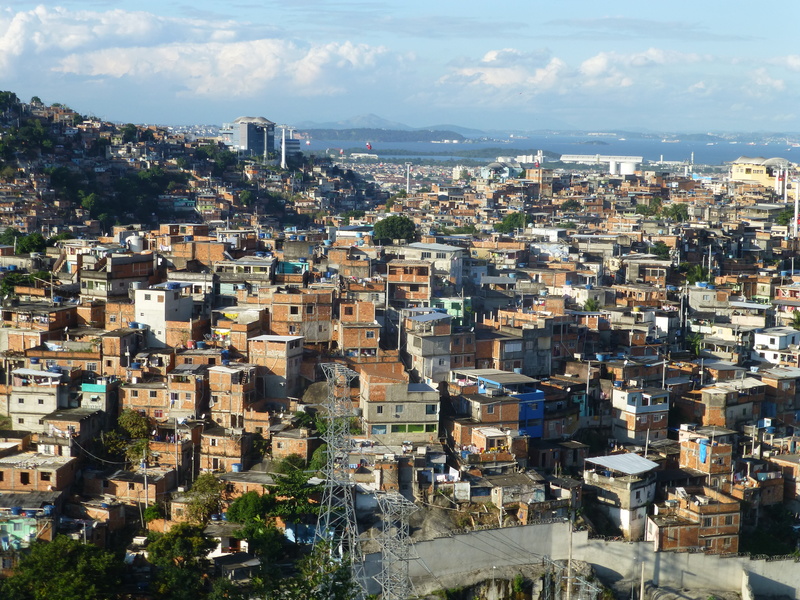 Juliana Luna took me to Morro-Da-Providencia, a favela near the central area, Juliana lives in Santa Teresa and – as a citizen of the world – lived for the largest part of her live outside Rio in places like New York and later in Johannesburg. Rio is her home town. She accompanied me on long walks through some interesting parts of the city. “Hey beauty, where are you going with that gringo?” more than one Carioca asked her when they saw us together on the sidewalks. The Morro-Da-Providencia has a just gotten a cable car but many inhabitants doubt the need of this expensive infrastructure. The water system, the sewage system, the streets, the electricity, everything should be repaired. We visited the cultural centre on the top of the mountain. There are lots of things going on in the favela. Beautiful graffitis, most of the houses are upgraded and under repair. Are these the real places of hope and creativity? 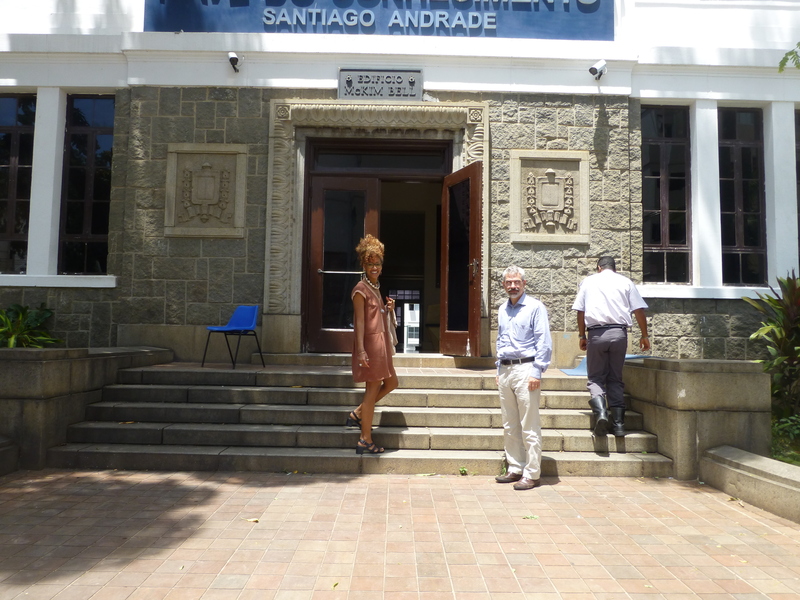 The next day we went to see the design centre on Praca Tiradentes. On the other end of the street Luna found an empty building where she wants to sit with her organization: Project Tribe. I’m sure that is going to happen. The streets between Praca Tiradentes and Lapa fill up with loads of people in the evening. 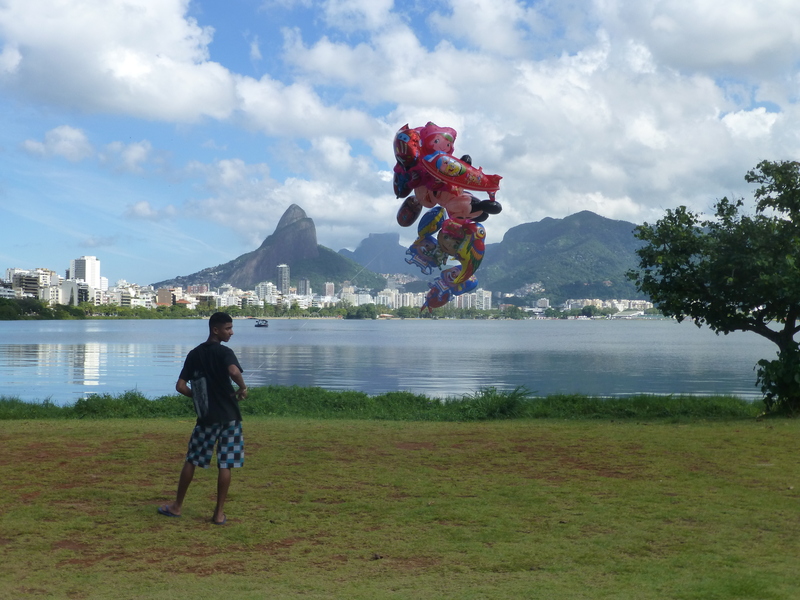 The other day I went back alone and walked the whole stretch back to Praia do Flamengo. It doesn’t feel safe in many areas, but as long as there are enough people on the street it’s ok. The temperature, that feeling in the air, the sounds, I love it. Which puts me with both feet back on the ground. Thought about that for a long time in the taxi on my way to the airport. 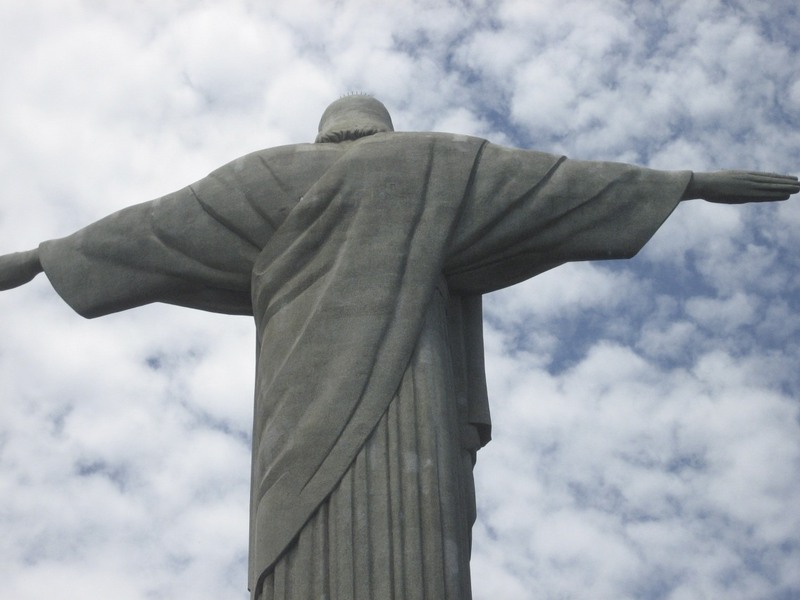 My visit to Brazil in 2011 was pure magic and Rio was most certainly a highlight. Ingenuity and inspiration can be found everywhere. From the ornate sidewalks and graffiti, to the oasis-like botanical gardens, monumental commemorative statues and even the subtle yet informative street signs. Thank you for sharing your experiences in one of the most magnificent cities in the world. It allowed me to reminisce about my voyage to this creative city. Thank you for the article. It lightened my spirit this morning.